There is no advertising medium, past or present, that compares to an excellent website. A Nuanced Media website begins with an all-encompassing approach to creating a website. It has the power to drive customers to a business which can dramatically increase sales. It delivers curb appeal to its visitors, is responsive on every type of device, and is integrated with digital marketing capabilities which act as your business’s greatest salesperson. Your website is the heart of your digital brand. When a website is designed and developed correctly, taking into consideration your brand, sales cycle, and target audience, it does not only lay the foundation for an online brand, but is an investment that brings in new clients, establishes new sales funnels, reinforces reputation, educates the user base and ultimately becomes your best salesperson. The money that you initially invest in a website is an opportunity for business growth and will pay dividends for years to come. Use our website cost calculator to estimate your initial web design costs. % of people say a website’s design is their number one criterion for determining the credibility of a company. % of people admit to making a judgement about the credibility of a business by the design of their website. Nuanced Media websites are always custom designed. A custom designed website is comparable to the curb-appeal that you get from an architecturally interesting, beautiful home versus an undifferentiated home in the suburbs. 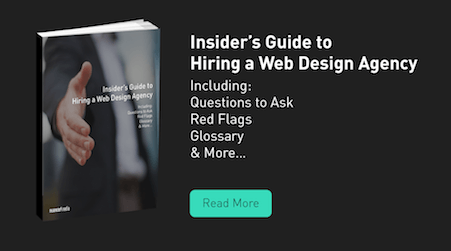 Websites are where most customers will initially interact with a business: 78% of internet users conduct product research online before going into the business. It takes only 50 milliseconds, .05 seconds, for visitors to make a judgment about your website so it’s safe to say that the judgment will be based on how the site looks. All Nuanced Media websites are unique and are built to optimize results. We have developed a proven formula which blends client collaboration and our expert innovations to deliver an all-encompassing digital experience. We will never simply set a client’s project on an assembly line. Our research team will delve into all of the elements of your industry that could affect your business. Through client interviews and evaluations, we map out a plan of action to create the most impactful website for your particular industry, company culture and brand. Our team will determine all of the software and needed resources, designate any needed third party providers and lay out a timeline and budget for the project. Our design and user interface teams create custom, visually appealing assets that effectively convey your brand, increases conversions and are optimized to grow your company. This includes a style tile detailing theme colors, typography, styling choices, an inspiration board illustrating the website’s mood and emotional appeal, and wireframes which map the user interface as well architecture of the website. After the creation of these assets, the design is refined based on a series of collaborative meeting with your team. Once the wireframes and user interface have been approved, the design is brought to life with mockups. This phase incorporates all of the visual elements previously agreed upon, including colors, graphics, images and typography. It incorporates your company’s culture, desired brand identity, design trends, value proposition, industry trends and company objectives. The mockup is then refined through series of collaborative meetings with your team. A Nuanced Media website is then customly crafted based on the your user interface, technological infrastructure and unique identity. This encompasses all web pages and applications, complete navigation link structure, database components, incorporating all graphic design elements including photography, video and integrated content. A Nuanced Media website is tested. Through a detailed process the database, communication forms, widgets, load times and website infrastructure are rigorously tested to ensure optimal performance. 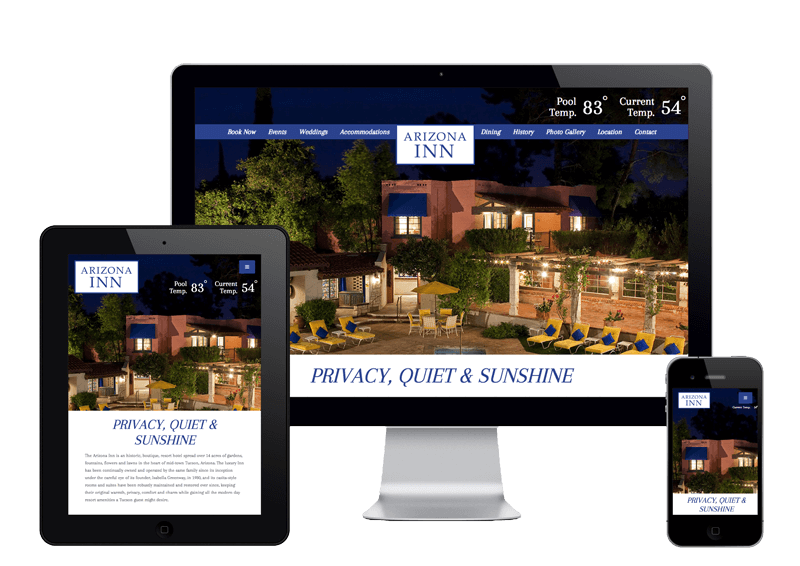 It is designed and tested to be responsive for all devices and browsers your consumers utilize to access your website. The website is configured on the servers of your choice and all additional issues such as email, security, etc. are addressed by our team. Your staff is trained on how to update the website, add content and manage simple technological issues. A Nuanced Media website provides a safety net, so your company can do as much or as little as desired. Once the website is live, the website builds the bridge to your existing and potential customers. Our marketing team creates a complimentary email marketing and social media campaign including creative, ad spend and messaging. This website is created to grow your business and the first step is to show the world.